Will we see the launch live im the UK? looks really cool how is the mars expedition going o ?? Where will it land after the test flight? Fantastic! 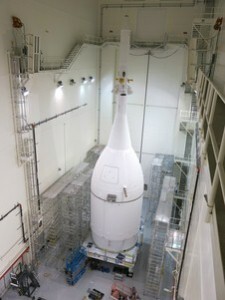 Go Orion, and the people who have made this possible! I wish to all the person who will gone on orion. All the very best. I’m so excited. I wish I’m still around when humankind reaches Mars and beyond. THIS WILL BE THE MIDASS TOUCH OF HUMANS MIND ON THE TIME………. God Bless u. All the Best. I pray to god gives u power to Complete this mission. All the best. It is beautiful we are allowed to have the vision. make our life sustainable and liveable. go orion make n.s.s.a proud it has been a long time it would be nice to take it to the Russians again good luck and god bless all how made it a reality. What i don’t realize is actually how you’re not actually much more well-liked than you might be right now. You are so intelligent. You realize thus significantly relating to this subject, made me personally consider it from a lot of varied angles. Its like men and women aren’t fascinated unless it is one thing to do with Lady gaga! Your own stuffs nice. Always maintain it up! Fantastic pictures!! More of this and outer space photos on NASA Tv. would be very good. What time is the launch going to be? 3,600 miles from Earth, is not a little bit short trip? Is it correctly expressed in the right units?